There are many interesting careers dealing with the food industry. One of these careers is that of a food scientist. As the name implies, a food scientist studies food and helps determine if it is safe for human consumption. They may work for the FDA or other governmental agency, or for an institution of higher learning in research and development. Often the things that they discover will lead to a safer or more efficient method of food preservation, pasteurization, or other food process. here are specific math and science requirements you will do on the daily job as a food scientist. The food scientist typically would need to be very good in the scientific disciplines, such as math, chemistry, biology, or animal sciences. Like other scientists, they are highly intelligent thinkers, and their job is to troubleshoot problems that could endanger the lives or welfare of human beings. Someone entering this profession would likely be very serious-minded and meticulous, paying close attention to detail. They would also be looking at developing new and better products for the consumer, so a background in consumer science or business and marketing might help also. The typical education for a food scientist would be to get a four-year degree in one of the above sciences, preferably biology, chemistry, or zoology. Another important aspect of this career would be studies in the area of engineering and product development. A combination of scientific and consumer science education would best serve the person wanting to go into this challenging but rewarding field. 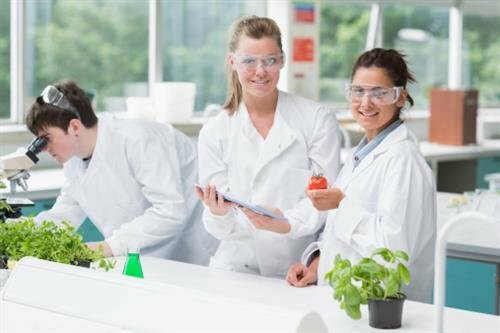 1) Get a four-year degree in chemistry, biology, or one of the other fields related to food science. It is important that you also find a degree that is accredited so that it will be accepted at different locations. 2) Think of your career goals. If you want to work for the FDA (Food and Drug Administration), you would need to contact them beforehand to find out what requirements are in place for someone wanting to work in this capacity. These people are chosen carefully and they have a sterling reputation for detail, so the more you can prepare for this, the better. 3) Study other requirements of the career. Read this list of requirements for becoming a food scientist and the other information to see if it is something you would like to do. As you can see, this career is not for the person who likes to be around people too much, or who doesn’t like highly focused work. You would be a true scientist in this career and would likely be spending most of your time in a lab or in research and development settings. 4) Work on math and science skills. There are specific math and science requirements you will do, not only in the degree, but also on the daily job as a food scientist. Focus on your important math and science skills that you will use so that you will become proficient at them. 5) Decide on a career path. Decide which setting you think you would like to do in the career and follow that track. While it is possible to work in local settings, these jobs are more likely going to take you to a larger area, such as Washington, D.C., or Chicago, for example, since that is where much of the research and development for food science occurs on a national level. 6) Research salaries. Look into the salaries of the average person working as a food scientist and decide in which capacity you would like to work. According to the Salary.com site, the average pay is around $34 per hour. There may be opportunities for higher pay, depending on what you decide to focus on. 7) Apply with food agencies or government positions. If your goal is to take this all the way, you may want to work for the FDA. If that is the case, apply with your skills and degree with the federal office and get references that will vouch for you. Teachers who know your skills in the math and sciences might be your best references for this type of career. For anyone who is very oriented towards research, enjoys spending hours investigating problems, and looking for solutions, this might be the career for you. You would be working under some tedious conditions, spending a lot of time in a scientific lab and recording your results. So for the person who enjoys doing a job which combines real science with a goal toward consumer safety would find this career rewarding. You could make an impact on an industry that needs people to guarantee the safety of the consumer and improve their experience. Start by taking the required coursework from an online school you trust.